Detectors Down Under is Australia’s leading online shop for those looking for a true Australian Adventure. We specialise in metal detectors and only stock high quality, trusted brands like Bounty Hunter, Teknetics, Fisher and Garrett that are made in the U.S. Whether you are just getting started into the hobby of metal detecting or a seasoned treasure hunting expert we’ll have a detector to suit you. So you can get the most out of your time outdoors we also stock a range of high quality metal detecting accessories and outdoor products such as digging tools, search coils, knives, night vision and flashlights. 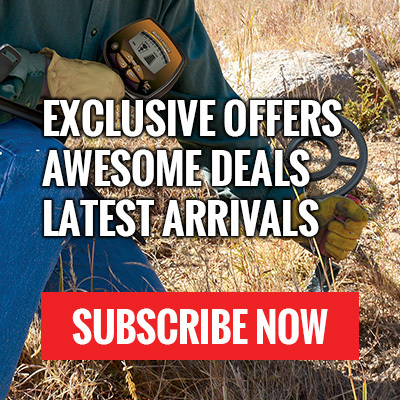 We offer the best deal online with free shipping*, transit insurance, trackable delivery, 30-day hassle-free returns, full product warranty and free accessories with every metal detector purchase. We are an Australian company and all orders are shipped from our Queensland warehouse. We follow an ‘always in stock’ model which means we can get your order to you fast! We accept all debit cards and major credit cards (Visa, MasterCard and American Express) and have no credit card surcharges. To give you greater flexible payment options we also offer zipPay, with zipPay you can buy now and pay later. Find out more about zipPay here. Our customer service team is here to help so if you have any questions or need help choosing your detector, flick us an email at support@detectorsdownunder.com and we’ll get back to you straight away. So what are you waiting for? Grab your gear and start your Australian Adventure today!